I've spent a week in Istanbul, despite the constant rains most of the time, I've had a nice time. 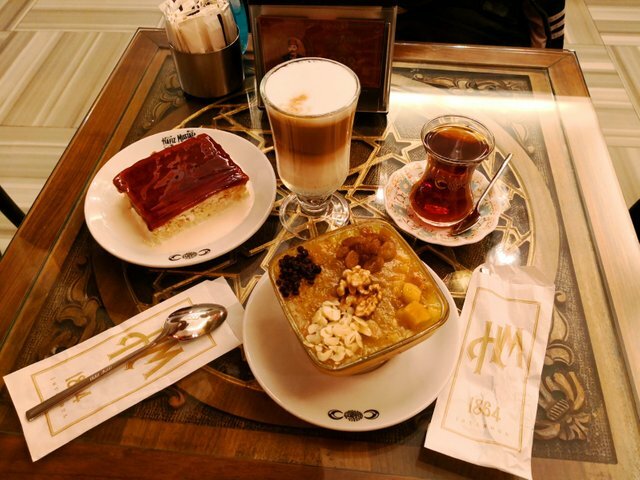 One thing that stands out in Turkey are their desserts. There is good food everywhere around the Mediterranean sea, but rarely a place with good desserts. Turkey gets that right however with their Baklava, Turkish delight (lokum) and all sorts of creams.